This page is all about Zakir Hussain. Celebrating decades of friendship and collaboration. Check out footage from our 2008 enhancement to The Mirage Volcano in Las Vegas. "Zakir, of course, is probably the most advanced rhythmist on the planet." 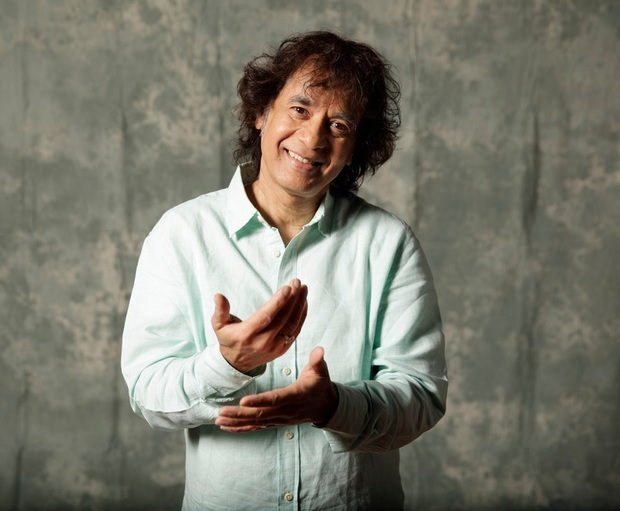 Revisit my exploration into the Tao of Wood with Zakir Hussain. Part of our week long celebration leading up to the presentation of his SFJAZZ Lifetime Achievement Award this Wednesday. The album Diga. Recorded with in 1976 at my studio in California. Enjoy this early instrumental version of Fire On The Mountain called Happiness Is Drumming with Jerry Garcia sitting in on guitar.